NEW ORLEANS (Oct. 7) — Martin Cardenas capped his second championship season Sunday with a thrilling victory over hard-charging Cameron Beaubier at NOLA Motorsports Park to push his 2012 total to eight wins and the all-time class record to 24. In a repeat of Saturday’s slugfest between the two, Cardenas got the early lead and help it for 14 laps until Beaubier finally caught up and made a pass for the lead. The two swapped the No. 1 spot back and forth a few times down the stretch and were pushing each other and their motorcycles to the absolute limit. Slipping and sliding their way through the final lap, the two appeared to get together in the final turn with Cardenas coming out on top and crossing the finish line first. “I wanted this win very much,” Cardenas said. “Cameron has been so good and won a lot of races lately but today I pushed with everything I had to get this win. It is a great way to end this incredible season. I know I have the best team in the sport and having GEICO on board has been wonderful. The big bosses are here today so it’s nice to give them a big show. 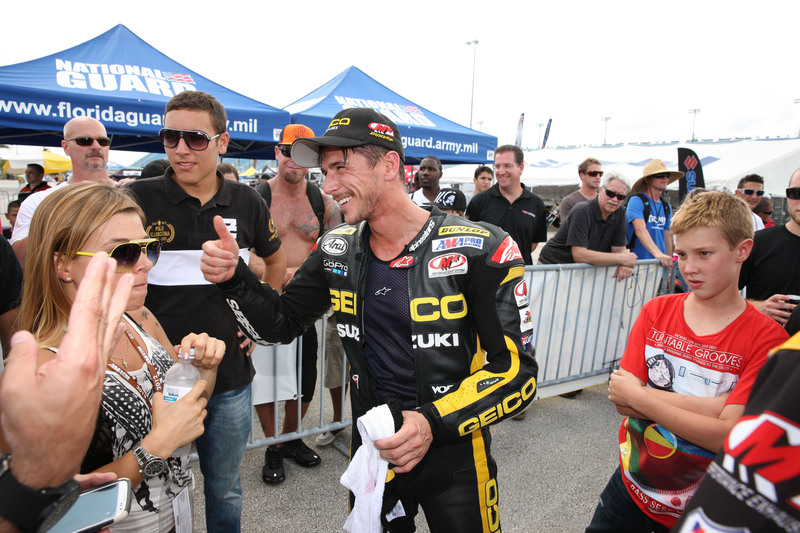 Cardenas captured the 2010 title in the GoPro Daytona SportBike category on the strength of nine wins. 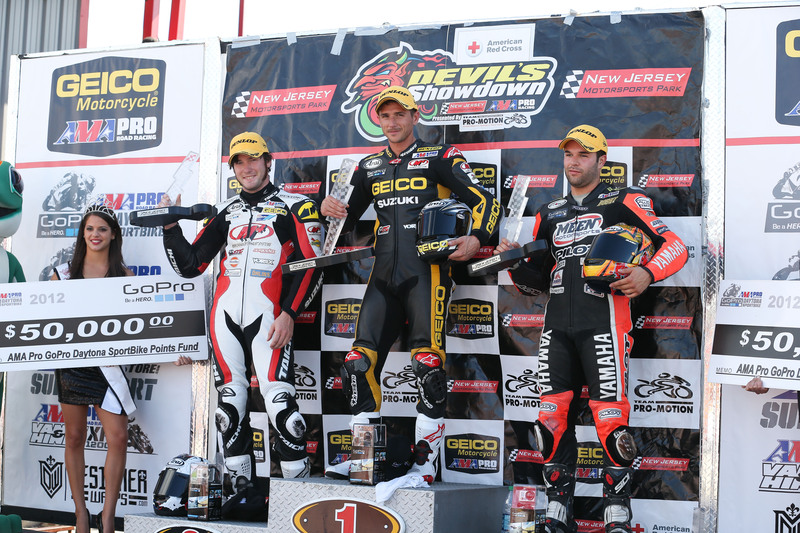 He then switched to Superbike in 2011 before returning to Daytona SportBike this season. Although he was asked about a possible return to Superbike in 2013, Cardenas said that’s something he’ll worry about later. The GEICO Motorcycle AMA Pro Road Racing awards banquet competes the year Monday night at the Hyatt Regency in New Orleans. Locked in a tight battle with Cameron Beaubier from mid-race on, Cardenas had just retaken the lead he held for the first 13 laps when he lost the front end of his GEICO Suzuki. The 29-year-old Colombian slid to a stop in a grassy run-off area and immediately jumped to his feet in an attempt to rejoin the race, but the damage to his bike was too much for him to continue and he was forced to resign from the contest. “I got a little bit outside the line and just lost grip,” said Cardenas, a seven-time winner this season. “It happened very quickly. Cameron and I were having a great battle and I knew it would go down to the very end between us. A prerace concern about tire life on the brand-new racing surface proved to be a non-factor and Cardenas actually praised Dunlop for the racing tires he used. 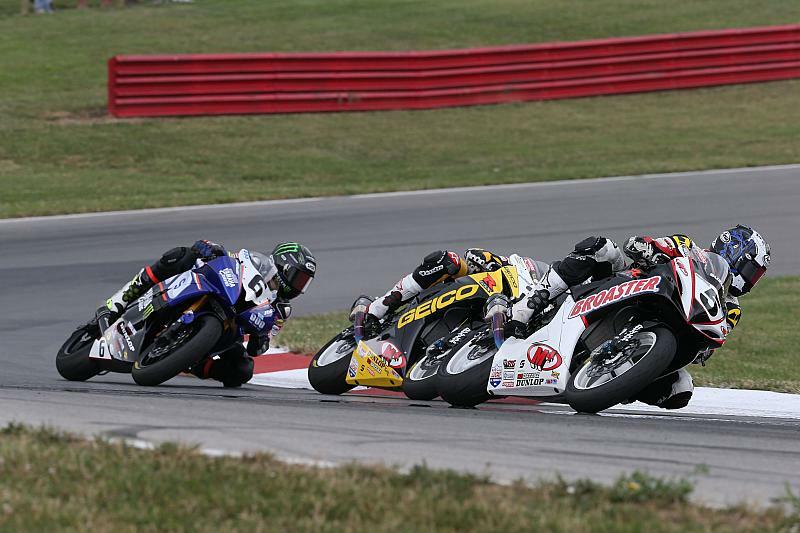 The race was red-flagged in Lap 2 after a scary crash between Jake Gagne and Bobby Fong, who shared the front row with Cardenas and Beaubier. Fortunately, Cardenas had gotten the jump and already had a slight gap on the field when it happened so he wasn’t disrupted by the incident. On the restart, Cardenas once again got a great start and gapped the field before Beaubier began tracking him down, eventually catching him with nine laps to go. An extremely tight fight between the two carried forward until the accident. Saturday’s race will air on SPEED TV, as will Sunday’s season finale, which begins at 2:15 p.m. at NOLA Motorsports Park. NEW ORLEANS (Oct. 3) — Clinching the 2012 AMA GoPro Daytona SportBike title with room to spare has given two-time class champion Martin Cardenas plenty of reasons to look forward to this weekend’s season-ending Triumph Big Kahuna New Orleans at NOLA Motorsports Park. Cardenas and his Frank Aragaki-led crew will be looking to add to their stellar 2012 resume that already features seven victories, four runner-up results and one third-place finish in 17 races. The group has helped Cardenas start from the pole position seven times and lead the most laps in a race on nine occasions. 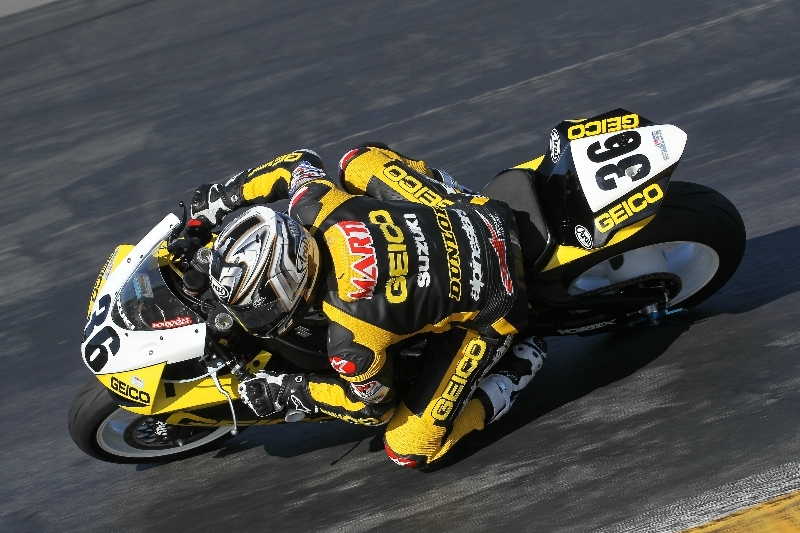 NOLA Motorsports Park, a 2.75-mile, 16-turn track south of downtown New Orleans, is hosting its first GEICO Motorcycle AMA Pro Road Racing event, although riders got a chance to test at the facility in late June. “It’s a very nice racetrack, lots of turns and areas for passing,” Cardenas said. “We ran pretty well there in the test but of course it will be different this time as the weather will be a bit cooler maybe and the track will have a few more months of seasoning. Racing starts with a practice session at noon, Friday, followed by the first qualifying session at 3 p.m. Qualifying resumes with a second and final session at 8:50 a.m., Saturday, which will set the field for both races. Race 1 takes place at 2 p.m., Saturday, with Race 2 slated for 2:15 p.m., Sunday. SPEED TV will carry all the action.